Over a week ago we passed the half-way point in the year, the Summer Solstice also called midsummer’s day on or around 21/22 June. It is a bit of a misnomer to call it Mid-Summer for as far as the weather is concerned the height of summer happens during the following two months. The term really applies to mark that position in the Earth’s orbit when due to its tilt the northern hemisphere is pointing more toward the Sun than at any other time in the year. It is around this same time (July) when the Earth is actually at its farthest from the Sun. The difference between the Aphelion (farthest) and Perihelion (closest) is about 3.1 million miles or 5 million Km but being that extra distance from the Sun has little effect on climatic conditions. Our weather is more dependent on events here on the planet, wind, closeness to seas and oceans or dry land, mountains and so on. It all depends where we live what sort of weather we have but it doesn’t stop people moaning about it nevertheless. At the moment (of writing) my local weather happens to be dull and overcast with a chance of rain in the offing but it is still mild and maybe a little cooler than of late. This is one of the reasons I like summer…. It is the proliferation of insect pests I find difficult to cope with at times. That is why I prefer the cooler months. I have been taking things easy these last couple of days both by choice and the fact that I haven’t been as well as I might. As it is summer I get less offers of work than at other times so I haven’t been too busy with electrical jobs though I have had some. It has been fortunate therefore that I have had something to do at home instead. There is always something to do at home isn’t there? 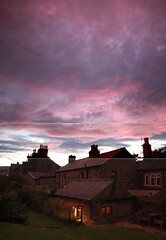 I need to make the most of the warmer seasons though, it will be winter soon enough, it isn’t all that far away! That is true for each of us. We all get older sure enough and some of us get wiser with that too. If we didn’t become wiser as we age we will have spent our entire lives in vain, we will have learned nothing but we do learn, each and every one of us. Wisdom however isn’t about learning it is about application, applying what we have learned in a useful way. What is the point of it all? There is a proposal to send a craft to one of the polar regions of our Moon and land there. In order to finance it there is an invitation to the ordinary ‘man in the street’ to submit personal data in the form of video recordings, photographs and literary information along with a strand of their own hair that will all be placed on the Moon lander, for a fee of course. The organisers maintain that the craft will be there for billions of years. I ask myself why, what is the point of that? Well of course it is a scientific project that will investigate the composition of the material beneath the Moon’s surface by drilling deep into it, something not tried before. What will be done with the information they receive from the experiments will be decided later. Perhaps they will be looking for water or minerals either to be mined and returned to Earth or to be used by any future Moon base that might be constructed. When I was younger my main hobby was Astronomy and the science behind space travel and the colonisation of other planets but as I grew older I began to question the reasons for mankind to want to do such things. What is the real point of it all? What purpose does it serve, what benefits are there to the human race? By nature we are inquisitive beings and that is just as well for if we weren’t we would have made no progress at all. There comes a point though where, in my opinion, it is useless to go any further. At best we may colonise the Moon and Mars and possibly one or two of the moons of Jupiter or Saturn but all of these places are hostile to us, low gravity, no breathable atmosphere, exposure to radiation and extreme temperatures of the lowest kind. If ever we did build colonies in these places they would have to be self-contained, like living in a perpetual bubble. We are simply not designed to live that way. Travel to anywhere outside our solar system is even more pointless, the distances are so great we would have to travel much faster than the speed of light to get anywhere or go through, as yet unproven, wormholes to who knows where? Without a definite destination, if there even is one, is travelling in hope alone. Unless we travel instantaneously to very far off places they are unlikely to be there when we arrive! What we see when looking into the depths of space is history, what the objects we are looking at where like when the light we see left them to travel the vast distances to us. We are talking about thousands and millions of years even billions of years that their light has been travelling toward us. Travelling at the speed of light toward them will take just the same time. Now I am older I think it all futile to think about such things but there will be those who will continue to pursue the idea. Communicating with space travellers is a useless exercise once they have travelled beyond a few light-years for it will take as many years for radio signals to traverse the great distances. Only our descendants will receive the messages. As much as I like the idea and the romance of space travel my feet are firmly set on planet Earth. Many years ago I became fascinated with astronomy, in fact it was about 58 years ago that my parents bought me an encyclopaedia inside of which was a description of our solar system. 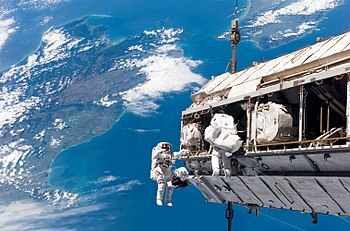 I was hooked and from that day onwards I dreamed about space and space travel. The technical difficulties associated with space travel were unknown to me save for a few essential considerations such as the need for space suits and breathing apparatus. As I grew more and more interested I began to realise and learn that other worlds were nothing like our own. some had atmospheres some were too hot or too cold, too wet but not with water, too dry and possibly none had vegetation or life of any kind though that was always speculated. I collected the cards that were sold with packets of chewing gum depicting aliens from other worlds, some from our own solar system and my imagination of encounters with them passed through my mind often. As I grew older and more informed I began to realise that life in our solar system was probably confined to our own planet, well life as we know it. Naturally I took great interest in the ‘space race’ and the Moon landings but always in the back of my mind was the first journey of man to Mars, when it would happen and how. Mars, though not exactly an ideal place on which to settle, is far more inviting than the surface of the Moon. Once man leaves the protection of Earth he is open to dangerous levels of radiation that other planets or moons in the Solar System that can be stood upon cannot protect him from. Aside from having to take along food, oxygen, water and a host of other things to begin the journey of self-support on another world there is also the problem with regard to gravity or a lack of it in many cases. The gravitational pull on the Moon is less than one sixth of what it is on Earth and the Martian gravity is less than four tenths of what it is on Earth. The human body has to make adjustments in order to cope and those adjustments would become permanent if a return to earth was not on the cards as has been suggested by one group of explorers and scientists currently working towards a thriving Martian colony. See http://www.mars-one.com/mission/roadmap .Perhaps if they are successful in bringing that about sometime in the future it may be possible to have frequent return flights from such a colony but those who have remained for long periods may not be able to make that journey. Personally speaking I no longer think we were designed nor intended to travel in Space but mankind seems determined and driven toward such exploration. The solar system is cool. Here are 10 things you might not know. What underlies the human fascination with extraterrestrial life? With all the reports we have been hearing about high winds, freezing weather and floods is it any wonder people are asking what is causing it all? Most of the USA at the moment is frozen solid, many places here are covered with flood water and we have experienced gales and severe gales with probably more on the way. One thing we can say is that it is Winter after all but it has been a long time since we in general saw weather as bad as we have seen lately. Many of course blame the weather changes on rising global temperature (? )supposedly caused by human activity which seems on the face of it to be quite contradictory. It is true however that the average overall temperature of the planet has increased slightly and it takes only a rise in temperature of a degree or two Celsius to afford a disruption. Parts of the Globe are experiencing droughts not experienced before with higher temperatures happening at both poles. Ice is melting both in the Arctic and Antarctic which can only result in higher sea levels paving the way for coastal flooding. ‘The times they are a changing‘, rings the Bob Dylan song. There could be another explanation of cause however as some have iterated and that is that we could be heading for another Ice Age or at least a mini Ice Age. According to studies of the Earth’s past there have been at least two major Ice Ages with a number of smaller peaks and troughs in between which we call mini Ice Ages. Of course measurements will have to be taken over a number of years to reveal the truth of the matter. In the meantime we just have to get on with it and make preparations for possibly more difficult times ahead. Ice Age Now: Arctic Air Blast U.s. With Record Low Temperatures – 140 Million Affected; 13 Dead! 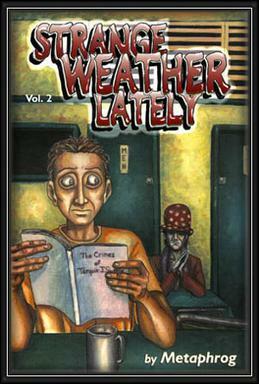 Cover for Strange Weather Lately Volume Two graphic novel by metaphrog. Published in 1999. Today, Monday, as I write this, it is very sunny and very windy. At this time of year we are used to enjoying the warmer days of mid-Spring but alas it is more like late Winter. Over the last few years, indeed over the last few decades, there has been a gradual change in our weather patterns. Many scientists and meteorological experts agree that the whole world is entering a warmer phase and attribute the temperature increase, small as it is at the moment, to increases in CO2 levels in the atmosphere. According to many this rise has come about by human activity caused by the burning of fossil fuels but is this the whole picture? The Earth has seen climate changes many times and it may surprise some to know that even during the last 1000 years there have been noticeable changes, changes which cannot be attributed to the burning of fossil fuels. There are indications that the temperature was higher during the 10th to the 14th centuries. It is believed that the temperatures during the last 4000 years have reached their warmest levels on several occasions. It is a well-known fact that however that there was a dramatic drop in temperatures during the 16th and 19th centuries, a period often called the mini Ice Age. We moan so much about the weather but conditions could be worse and have been in the past. For more information I suggest a visit to this site http://www.co2science.org/subject/other/clim_hist_1thousand.php I think you will find it rather fascinating and perhaps give you a better understanding about our topsy-turvy weather here in the UK. There are always a lot of repeat broadcasting of old movies on television, especially on ‘Freeview‘. I suppose that is why they call it ‘freeview’ because it costs them very little to broadcast them and they won’t broadcast the latest movies free of charge. The result is a continuous recycling of the same old stuff, which is all right if the frequency isn’t too short and your memory is poor! One of the favourites seems to be ‘The war of the Worlds‘ both the older version and the newer version featuring Tom Cruise, which is by far the more realistic of the two. I am sure most people will recollect the storyline, Martians invading the earth and reeking havoc as they do. Nothing can stop the destruction and they seem impervious to all human weapons until one day they succumb to the common cold virus. Well something had to go in our favour! Personally I do not think we will ever be visited by aliens from a distant world, I just think the distance is too great even if aliens existed but suppose for a moment that it was possible, that aliens could conceivably visit us. What would they look like? Would they be passive or aggressive? How would we communicate with them? If you were chosen to be a spokesperson, somebody making the first contact, what would you do, what would be your approach? Would you even have the courage? At first sight it wouldn’t be difficult but we would have absolutely no idea what the alien reaction would be. Somebody would have to make that first step, it could even be the aliens who take it! 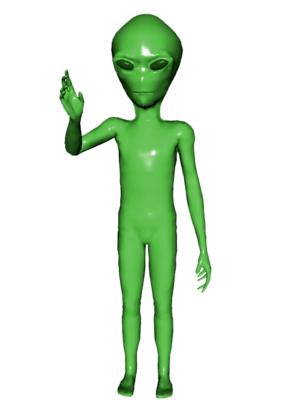 I somehow cannot see aliens living amongst us even covertly as in the movie ‘Men in black‘……but you never know! Some folk believe that aliens actually do live amongst us today and others believe they once did even suggesting that we came to Earth as aliens. In Scripture it is written that a giant race called the ‘Nephilim‘ once roamed the Earth long ago. Bible scholars believe them to have been the result of fallen angels mating with human women. The angels found them to be very beautiful. To help that theory along some very large skeletons have been unearthed which are twice or more times the size of the average human being. Not much reference is given in Scripture but more is given in other ancient literature. I am not sure one way or the other which is the truth about the Nephilim. I suppose one day we will know the truth of the matter. A good account and proposed theories about the Nephilim can be found in Wikipedia. The 20th/21st day of March is the beginning of Spring, the Spring Equinox (or thereabouts), that point in the Earth’s orbit around the Sun where we have equal hours of daylight and night for both the northern and southern hemispheres. Of course it marks the Autumnal Equinox for the southern hemisphere, the beginning of their Autumn. The 21st might mark the official start of the season but I wonder when it will begin to show itself in terms of temperature rises and more sunshine? It is something to look forward to in any case. In the meantime the forecast is for SNOW on Friday! Author Shirley AnnePosted on March 21, 2013 March 21, 2013 Categories Earth, Environment, Seasons, WeatherTags Autumn, Autumnal Equinox, Earth, Equinox, Solstice, Southern Hemisphere, Spring Equinox, Sun4 Comments on Spring at last? The Winter Solstice but did you know the rest? The sun unleashed a record solar flare in November 2003. The earth’s orbit around the sun is not a circle. The earth’s orbit around the sun is slightly elliptical. Therefore, the distance between the earth and the sun varies throughout the year. At its nearest point on the ellipse that is the earth’s orbit around the sun, the earth is 91,445,000 miles (147,166,462 km) from the sun. This point in the earth’s orbit is known as perihelion and it occurs on January 3. The earth is farthest away from the sun on July 4 when it is 94,555,000 miles (152,171,522 km) from the sun. This point in the earth’s orbit is called aphelion. The slight ellipse in the earth’s orbit does have a slight impact on the amount of solar energy being received by the earth. This 3.3% difference in distance does not impact the earth as much as the seasonal variations, however. Scientists utilize the average distance from the earth to the sun as the standard for one astronomical unit (1 AU). This average distance from the earth to the sun is 92,955,807 miles (149,597,870.691 km). It takes light from the sun about 8.317 minutes to reach the earth. The earth takes 365 days, 5 hours, 48 minutes, and 46 seconds (365.242199 days) to make a full revolution around the sun. The earth’s wobble and change to its axis and orbit around the sun all change on a cyclical basis. 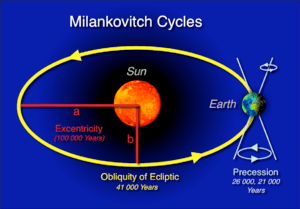 These account for changes to the earth-sun interaction and are known as Milankovich cycles. While we’re all familiar with the axis of the earth pointing toward the North Star (Polaris) at an angle of 23.45° and that the earth is approximately 91-94 million miles from the sun, these facts are not absolute or constant. The interaction between the earth and sun, known as orbital variation, changes and has changed throughout the 4.6 billion year history of our planet. Eccentricity is the change in the shape of the earth’s orbit around the sun. Currently, our planet’s orbit is almost a perfect circle. There is only about a 3% difference in distance between the time when we’re closest to the sun (perihelion) and the time when we’re farthest from the sun (aphelion). Perihelion occurs on January 3 and at that point, the earth is 91.4 million miles away from the sun. At aphelion, July 4, the earth is 94.5 million miles from the sun. Over a 95,000 year cycle, the earth’s orbit around the sun changes from a thin ellipse (oval) to a circle and back again. When the orbit around the sun is most elliptical, there is larger difference in the distance between the earth and sun at perihelion and aphelion. Though the current three million mile difference in distance doesn’t change the amount of solar energy we receive much, a larger difference would modify the amount of solar energy received and would make perihelion a much warmer time of the year than aphelion. On a 42,000 year cycle, the earth wobbles and the angle of the axis, with respect to the plane of revolution around the sun, varies between 22.1° and 24.5° . Less of an angle than our current 23.45° means less seasonal differences between the Northern and Southern Hemispheres while a greater angle means greater seasonal differences (i.e. a warmer summer and cooler winter). 12,000 years from now the Northern Hemisphere will experience summer in December and winter in June because the axis of the earth will be pointing at the star Vega instead of it’s current alignment with the North Star or Polaris. This seasonal reversal won’t happen suddenly but the seasons will gradually shift over thousands of years. Astronomer Milutin Milankovitch developed the mathematical formulas upon which these orbital variations are based. He hypothesized that when some parts of the cyclic variations are combined and occur at the same time, they are responsible for major changes to the earth’s climate (even ice ages). 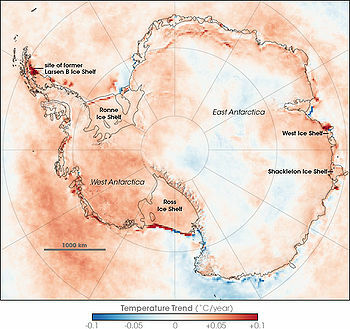 Milankovitch estimated climatic fluctuations over the last 450,000 years and described cold and warm periods. Though he did his work in the first half of the 20th century, Milankovich’s results weren’t proven until the 1970s. A 1976 study, published in the journal Science examined deep-sea sediment cores and found that Milankovich’s theory corresponded to periods of climate change. Indeed, ice ages had occurred when the earth was going through different stages of orbital variation. Read related articles in the Climate section of my site. Hays, J.D. John Imbrie, and N.J. Shackleton. “Variations in the Earth’s Orbit: Pacemaker of the Ice Ages.” Science. Volume 194, Number 4270 (1976). 1121-1132. Lutgens, Frederick K. and Edward J. Tarbuck. The Atmosphere: An Introduction to Meteorology. Fascinating isn’t it? Well I think so….. 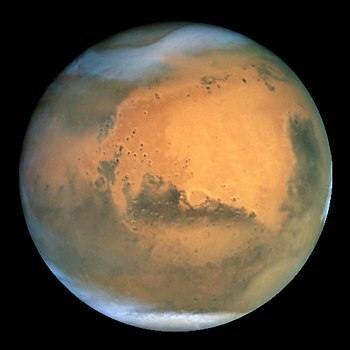 It is proposed that by the year 2023 four humans will set foot on the planet Mars. Two years after that four more will join them and every further two years another four will join them until a sizeable settlement is established. Each journey will provide more accommodation modules, materials and perhaps food supplies, although the colony is intended to eventually become self-sufficient. The first settlers will find it hard but as more join them it should become easier. For the first few years all journeys will be one-way only but perhaps in later years it will be possible to journey both ways. Recruits need to know how much they will be giving up here on Earth to make the life-changing journey and knowing they cannot return. That is a very big decision for anyone to make. Would you make that decision? What about family, friends and social activity? Living with only three other people for two years would mean having to get along with them extremely well. No more grass, trees, flowers, animals, rivers and seas, no clouds in the sky, no sound except that of a 400 mph wind when it blows, whipping up the Martian sand and blowing it to the other side of the planet! There are many things to consider before making a journey to Mars. Would you go to Mars knowing that you most probably will never return? I might go for a visit if it were possible but stay there? I don’t think so. Author Shirley AnnePosted on December 13, 2012 December 13, 2012 Categories AstronomyTags Astronomy, Colonisation, Earth, Mars, NASA, Planet, Solar System, Space, Technology4 Comments on Would you go?